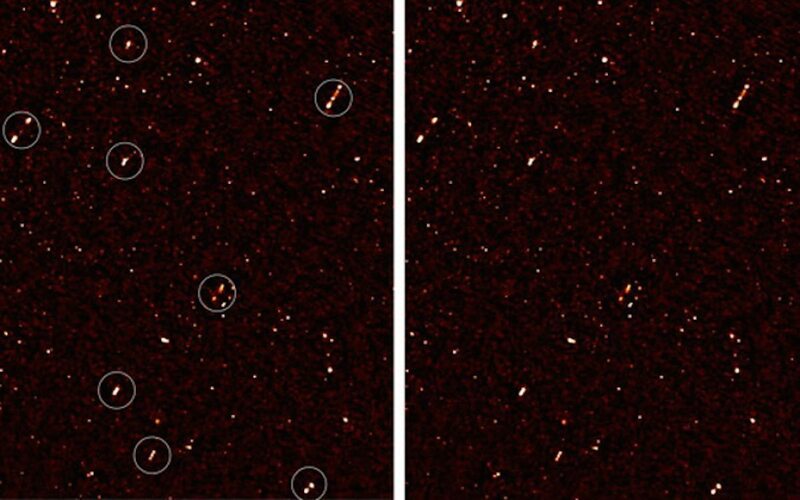 There’s news of a mysterious alignment of black holes. While that makes for good headlines, the actual scientific findings aren’t so mysterious. The research has just been published in MNRAS, and it looked at the orientation of black hole jets. When black holes consume matter, the heat and pressure of the surrounding accretion disk can throw some of the material away from the black hole at tremendous speed. This material streams away from the black hole forming long trails we call jets. Since these jets always stream away from the poles of a rotating black hole, the alignment of the jets tells us the orientation of the black hole. The team looked at distant black holes across a 1-degree span of sky, which is about twice the apparent width of the Moon. 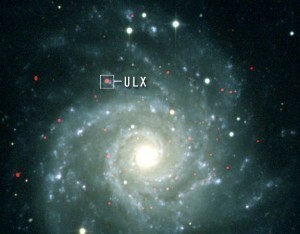 When they looked at the jets of black holes in this area, they found an apparent alignment. The chance of such alignment occurring randomly is about 0.1%, so it is likely that something caused them to have similar alignments. This is “mysterious” because the black holes are not close enough to each other to be interacting. So there is no way for them to be tugging each other into alignment. However this kind of alignment is not unexpected. Computer simulations of the cosmos show that intergalactic material should be rotationally aligned along filaments between superclusters. We’ve seen similar alignments among quasars, which is indicative of this large filament structure. So what this work actually shows is further evidence of the large scale filament structure as predicted by computer simulations. The authors are clear to point this out, and don’t claim there is anything mysterious about it. Are the jets aligned to the axis of the accretion disk, or the axis of the rotating black hole, or is this the same? They’re aligned to the rotational axis of the black hole. Can you write a post about filaments? It would be interesting to observe a different one degree arc and see if those blackholes align themselves the same as the first observed arc or, if their hypothesis is correct about the filaments, then those too would be aligned but entirely different than the first group. One must also consider cause and affect. If there is a correlation between black hole alignment and filaments, we cannot assume they are aligned BECAUSE of the filaments, but rather, whatever caused the nature of the filaments also caused the nature of the black hole alignment.